He loved his barber despite his mini-fro cut. He hated "Magnum P.I." despite his mustache. He loved being on baseball cards despite the one above. He hated "Sesame Street" despite his first name. He loved women despite this card's implications. 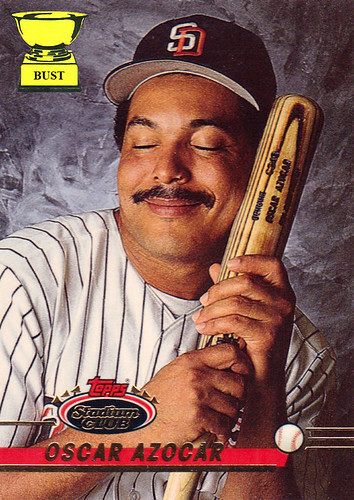 He hated Julio Franco despite ripping off his pose.